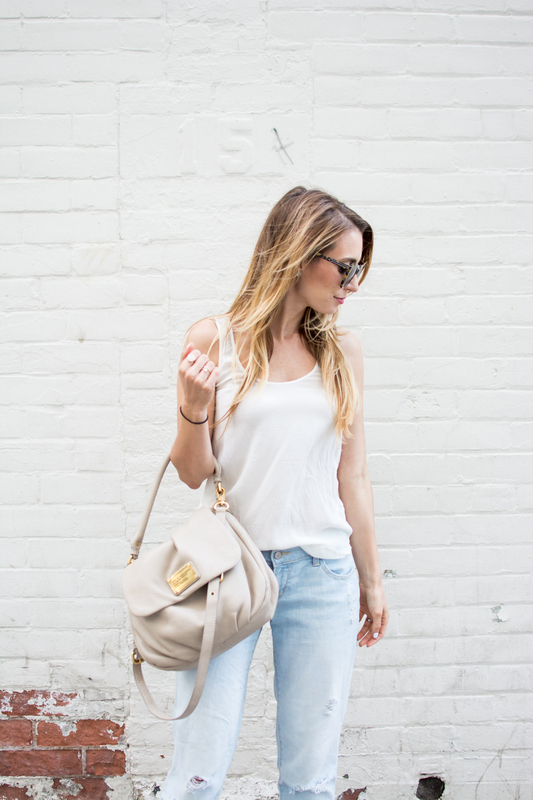 OOTD - Boyfriend Jeans and Heels | La Petite Noob | A Toronto-Based Fashion and Lifestyle Blog. So among many other things, I am also a shoe Noob. I had always fancied myself more of a bag person, but lately you can't tear me away from the shoe stores. Taking a page out of Ms. Carrie Bradshaw's book, I'm trying to pair fancier heels with any old outfit and love the effortless look it produces. What do you guys think - are you into the simpler looks? Where do you stand on your love for shoes? Are there any stand-out shoe brands that you think I should check out? Let me know! Shoes are my weakness, too! It's crazy how they can elevate any outfit. Love the neutrals! Thanks Gabriella! What are your favourite brands and styles? I'm definitely looking to expand my shoe collection! I wish boyfriend jeans looked good on me! I'm always a little jealous when someone like you pulls them off well! Thank you so much, although I'm sure that they look awesome on you as well! Ah boyfriend jeans! You know they are my fave. I am usually all about comfort over glamour, but I think adding heels instantly glams up the outfit. Thanks Eleni, I always love how you style your boyfriend jeans! 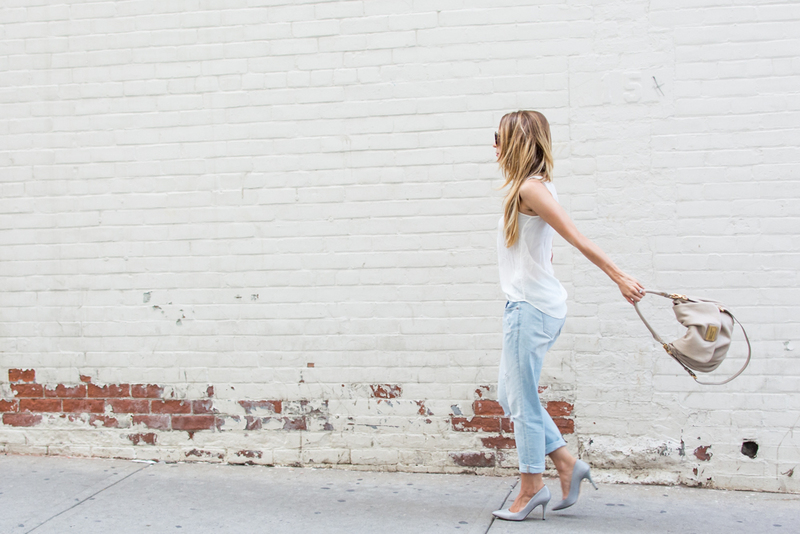 Great boyfriend jeans! Very nice look! So clean! I totally need to start doing that - my shoe collection is so sporadic now, I need to try and even it out! Thanks Jessica, I'm glad that you like it! 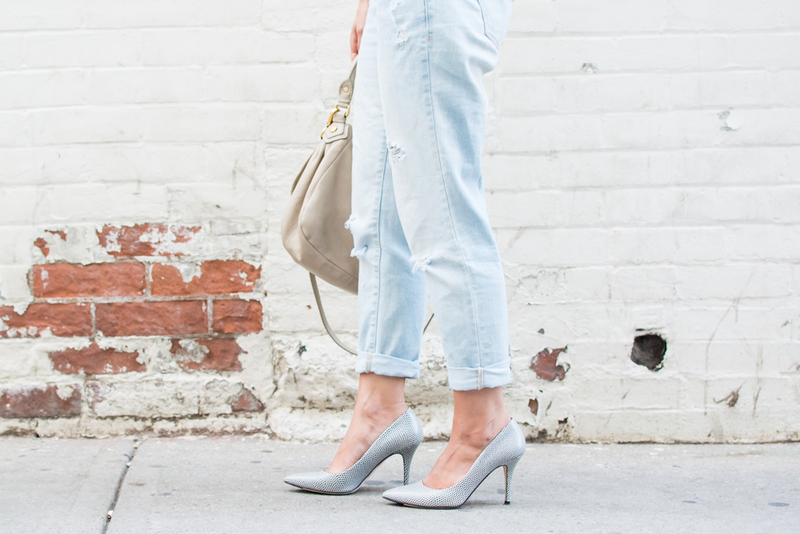 Jeans and heels are quickly becoming one of my favourite pairings! Thanks Margarita, I'm so glad that you like the combination!